Zura Gaytulaeva gazes at her four children playing in the refugee centre in Targowek, north of Warsaw. Originally from the Russian republic of Chechnya, she has come to Poland from her hometown of Valerik, in the district of Achkoy-Martan, to seek protection. She is one of 4,000 asylum seekers who are currently in the care of the Polish Office for Foreigners, the state institution that decides on asylum cases. The vast majority of the 12,000 asylum seekers who arrived in Poland last year were from Chechnya, followed by Ukrainians and Georgians. Only 340 were granted full protection status and 150 received subsidiary protection. Compared to the more than 1 million claims in Germany, the small numbers indicate that the EU refugee crisis has not yet reached Polish borders. Even though there is a slight rise in applications, “our refugee centres are still far from being full,” Jakub Dudziak, a spokesman for the Polish Office for Foreigners, told EUobserver. Together with another 111 women and children, Gaytulaeva has lived in the Targowek centre for several months while waiting for her application to be processed. Her chances are slim: in 2015, only 21 out of 8,000 Russian asylum seekers succeeded, compared to a success rate of almost 70 percent for Poland’s 295 Syrian refugees. 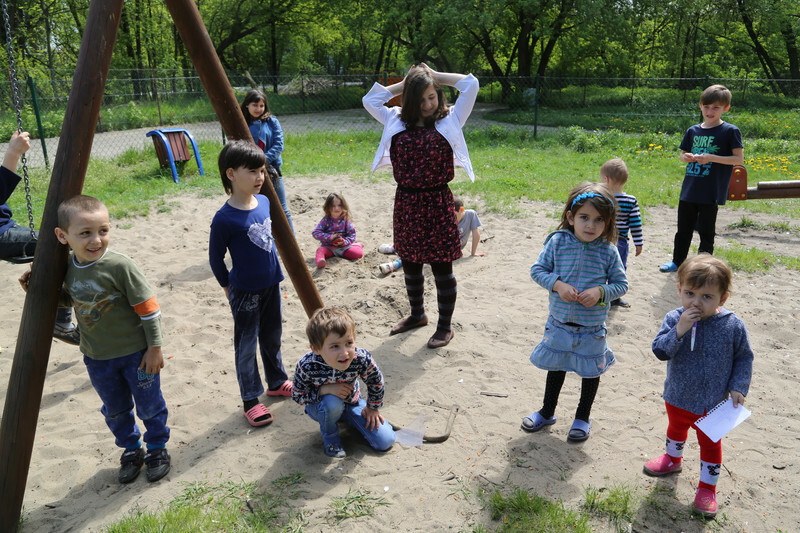 But for a boy playing with Gaytulaeva’s children, Poland already feels like home: “I go to school here. I have Polish friends,” the boy told this website in fluent Polish. The Targowek refugee centre - one of 11 in Poland and the only one specifically designed for women and children - is tucked in behind a factory, 40 minutes from Warsaw’s city centre, but it is comfortable and well-maintained. Families have access to doctors, psychologists, Polish language classes, and children’s activities. “We have good relations with neighbours, our ladies are often invited to the Cafe Sasiad,” a community coffee set up by residents of Targowek, said Tatiana Kostina, who works at the refugee facility. Given the local welcome, she was surprised to see a petition circulated last January after rumours spread that the centre would soon host 1,400 refugees from Syria. “The Polish constitution guarantees our security but we feel threatened by immigrants who are so culturally different from us,” the petition said. 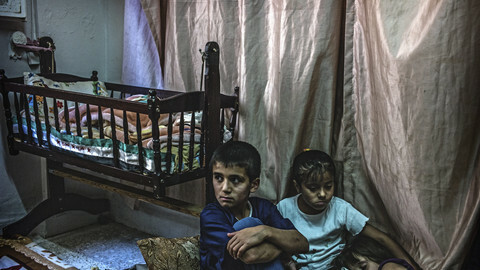 The Office for Foreigners denied there had ever been any plan to relocate Syrians to Targowek. Malgorzata Szczepanik, a local flower-seller, was also puzzled by the new fuss. “These people have come from war zones, but I have noticed that many of my friends shared negative comments about refugees in recent months on Facebook”, she said. Others in the area were less welcoming, however. “Migrants are going to England or Scandinavia to live on social welfare payments. They are only interested in money. We Poles are a Christian nation. There is no reason to build mosques here”, an elderly Polish man, who lives in Targowek and who declined to give his name, said. Poland has seen a rise in anti-refugee sentiment in the wake of last summer’s migrant crisis. Terrorist attacks in France and Belgium in the name of Islam and events in Cologne, Germany, on last New Year’s Eve, where several men of north African origin sexually assaulted local women, have aggravated the debate. The lorry attack in Nice, France and the axe attack on a German train last week are likely to make matters worse. Poland's interior minister Mariusz Blaszczak said that the Nice attack was "a consequence of multi-culti policies". Refugees also featured in the right-wing Law and Justice party’s (PiS) election campaign last autumn. After its return to power, PiS has tried steer the national debate and coverage of the issue in public media against people coming from the Middle East. 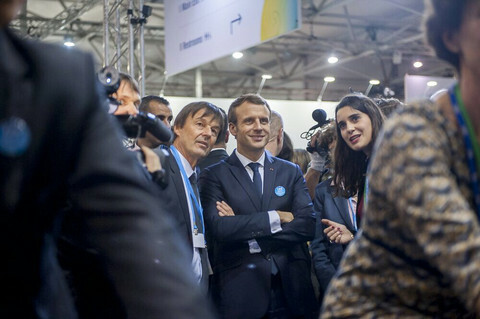 Even further to the right of the political spectrum, refugees have also become a pet topic of the National Movement, a small far-right party that made a ground-breaking entry into parliament in last year’s vote. Joining forces with the All-Polish Youth, an older nationalist group, the National Movement organised a demonstration in Warsaw in February against the “Islamisation” of Europe. 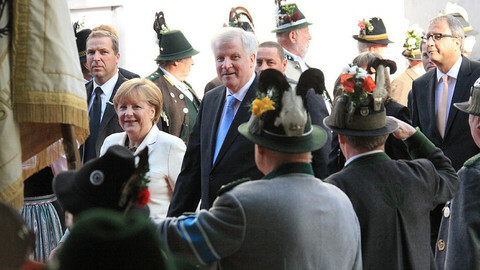 The leader of Germany’s anti-immigrant Pegida movement and some 1,500 people attended the event. A study published in May by the Public Opinion Research Centre (CBOS) showed that 55 percent of respondents were not ready to accept refugees from countries at war, while 39 percent agreed to host them only until they can return to their home countries. The higher the income and education levels of those surveyed, the more likely they were to accept refugees. But some 48 percent of 25 to 34 year-olds, an age group that has grown up in the EU and enjoyed its free movement laws, still rejected refugees entirely. For some refugees who came to Poland prior to recent events, the new turn in public opinion is unwelcome, but not entirely surprising. Elmi Abdi came to Poland in 1996 from Somalia. Now a Polish citizen married to a Pole and the father of a seven-year old, he feels that the country was more welcoming when he arrived. 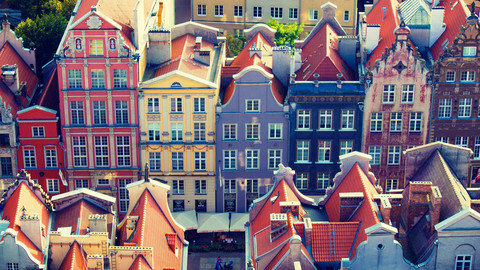 “Poland has been hosting refugees since the 1990s and there has never been any problem. But there is no support system for integration,” he said. To help with the difficulties Abdi himself encountered, his group, the Foundation for Somali, provides free Polish classes to any foreigner that signs up. “In Poland, there are about 20,000 Muslims and we feel well integrated," he said, noting that the figure is just 0.05 percent of Poland’s population. He added: ”But the government emphasises the rare cases of France’s Muslims who became terrorists. At first I thought the current ruling party was doing that to get more votes, but now it hasn’t dropped the issue." He said media in Poland played an important role in fomenting fear of refugees. “Public but also private media, including a couple of new outlets, portray refugees in a starkly negative light. In the end, people begin to believe what they hear. On the internet, under an interview I gave recently, there were hundreds of comments, most of them negative. One even suggested to raise money to send me back to Somalia”, he said. He noted that donations for his foundation are harder to find amid the new climate of distrust. He also said the Polish government recently cancelled one of his foundation’s projects. Aleksander Smolar, the president of the Stefan Batory Foundation, a Warsaw-based NGO that seeks to promote open societies, said the Polish anti-immigrant mood is linked to historical factors and to political opportunism. “Poland didn’t experience the massive influx of guest workers in the post-WWII period that Western countries had. There has been a Tatar Muslim minority for centuries in eastern Poland, but they are considered to be Poles like anyone else”, he said. The ruling PiS party has a history of anti-German and anti-EU rhetoric. Smolar indicated that its attempt to whip up anti-immigrant feeling is designed to reinforce and update the old line. 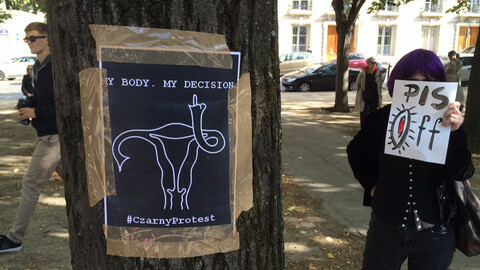 Meanwhile, the politicking in Warsaw is filtering down to local level with alarming results. Kruszyniany, a town in eastern Poland close to the Belarusian border, hosts one of the only two remaining mosques built by the Tatar community, which has lived in the region since the 17th century. In June 2014, during Ramadan, the wooden mosque and its cemetery were vandalised but the culprits of the hate crime have not yet been caught. 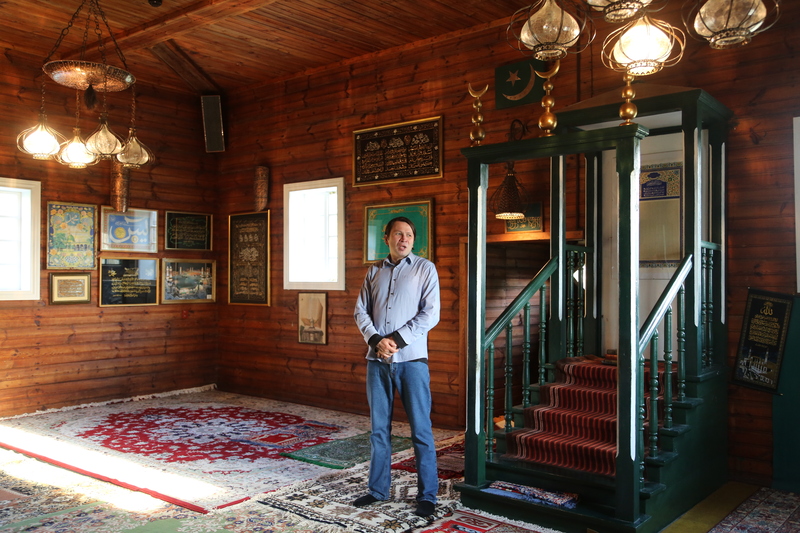 “Poland as a European nation should accept its share of refugees,” Dzemil Gembicki, a Polish Muslim and the mosque’s caretaker, told EUobserver. "But here, things are changing for the worse”. This article is the last in a series exploring the central European reaction to the migrant crisis. The earlier articles covered Hungary, the Czech Republic and Slovakia. The EU commission wants to create a single rule on how EU states resettle refugees from camps in places like Jordan. The draft legislation will be proposed next week along with reforms to EU asylum laws. 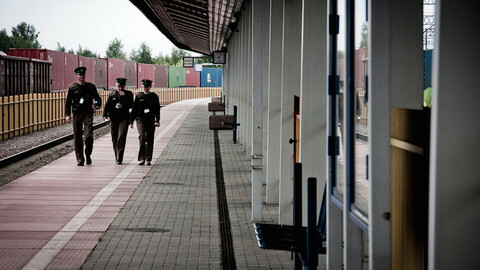 NGOs are worried border guards in north-eastern Poland are increasingly deaf to asylum claims of Chechens and Tajiks.